Spirit has used the medium of writing as a vehicle for communication for thousands of years. Many people find that they intuitively write, or feel the need to write, but do not know where the words come from. During this 2-day workshop, you will explore spirit writing, from being inspired to working in an altered state for automatic writing. You will be encouraged to allow the words to flow without judgement whilst understanding their origin and purpose. No experience required. 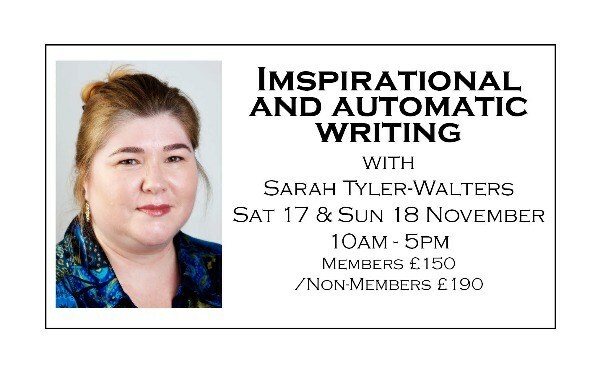 This workshop will cover: The theory of spirit writing Understanding the mechanics of each type Preparing for inspirational and automatic writing Experiencing each level of spirit writing This two day workshop replaces Sarah's evening class of the same name and covers the same content. Due to the nature of this workshop places will be limited. 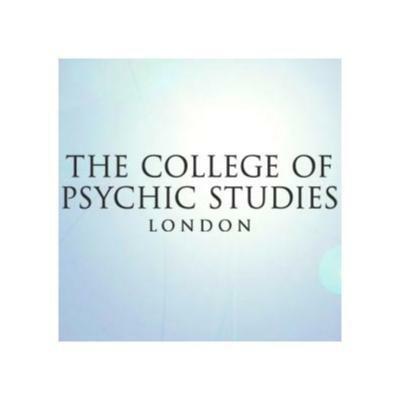 College of Psychic Studies - The College was founded in 1884 by a group of eminent scholars and scientists. Its purpose was to facilitate formal investigation into the psychic and mediumistic phenomena that were such a topic of debate in the Victorian era. With great courage, this group of distinguished people, some notable in science, others from within the ranks of the Anglican clergy, defied the prevailing canons of respectability in order to proclaim to a world of increasing materialism that human personality survives bodily death and that this is capable of demonstration.